Thanks to the toolbar addon, you get a direct access to your most usefull fonctionnality in your back-office like product, category and CMS edit page. You also get a quick access to the product sales statistics! Access to the dashboard and order list (with an indicator for news orders). 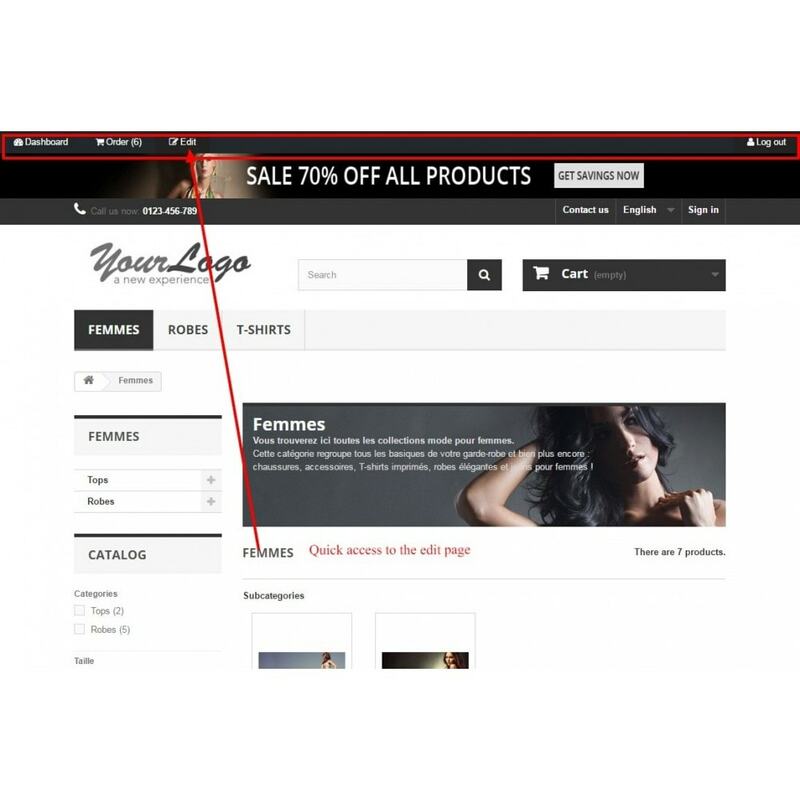 When you're on a product, category or CMS page, you have a direct link to the admin edit page. You also get a quick access to the product sales statistics! Of course, those access take into account the acces rules defined for each emplyee. You don't have to search for the product or category you want to edit! 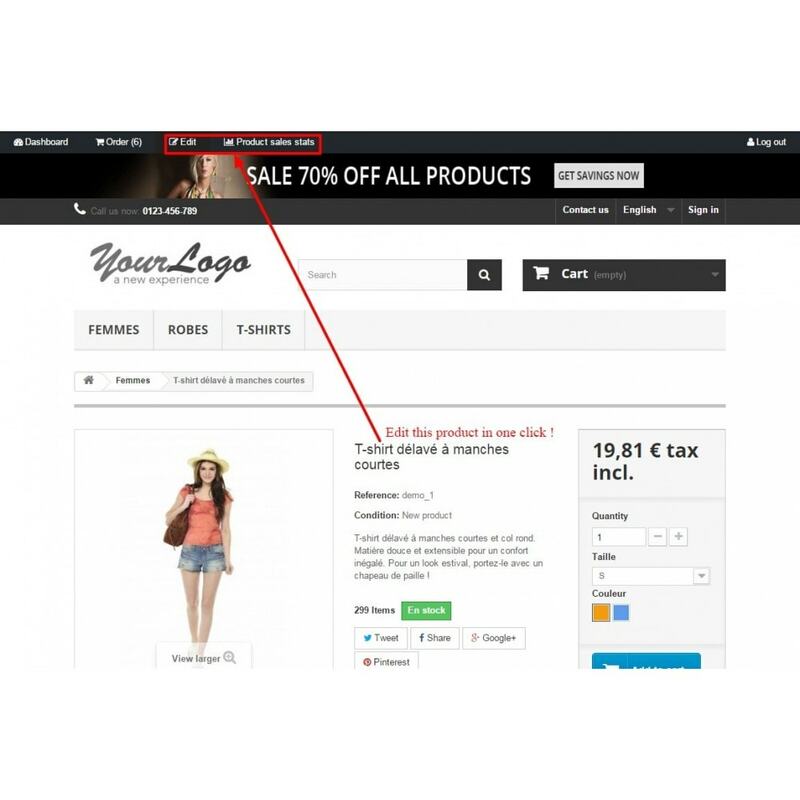 You can see in one single click the product sales statistics. The addon will keep evolving, if you need a specific feature, please let us know so we can add it to our roadmap!